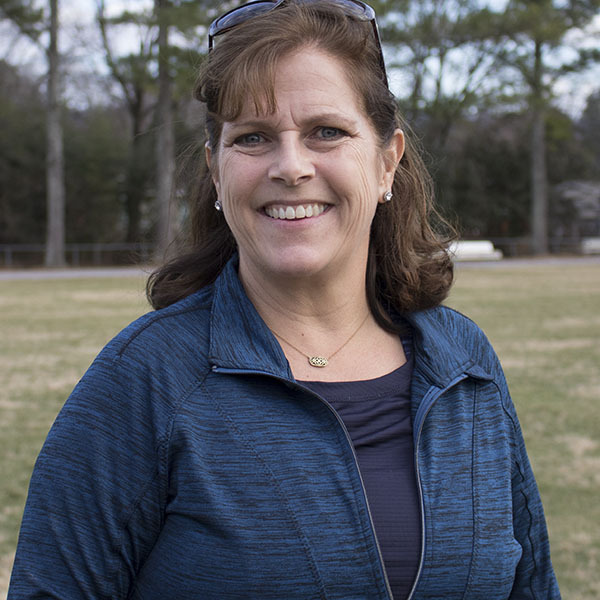 We’re thrilled to announce that Andrea Foust will serve as head coach of Randolph Girls Tennis. Please attend the meet and greet event mentioned below for a chance to meet Coach Foust and learn about the latest plans for the 2019 Randolph Girls Tennis Program. Coach Foust is no stranger to Randolph. She served as the JV head coach and varsity assistant coach of Girls Soccer last year here at Randolph and did a wonderful job, but we will not have a JV team this year. Now she is ready to utilize her passion for tennis and experience as a coach and tennis instructor to lead the girl’s tennis program and continue the momentum that Coach Dwyer developed over the past three years. We want to take this opportunity to thank Coach Stef Dwyer for all her hard work and dedication to the program for the past three years. We are fortunate to still have Stef as a Spanish teacher and she has been very supportive while helping Coach Foust transition into this new role. Another thing we appreciate about Coach Foust is her desire to continue developing as a player and coach. For example, she will be attending the 32nd Annual Southern Tennis Coaches Conference on Jekyll Island (Georgia) next month which is led by USPTA (U.S. Professional Tennis Association) Master Tennis Professional, Skip Johnson. This conference is one of the premier national high school tennis coaching clinics in the country. Coach Foust graduated from the University of Missouri-Rolla with a degree in Electrical Engineering. She has been married to her husband Duane for 28 years. Together they have three children: Travis (26) who lives in Michigan, Kayla (24) who lives in Maryland and Parker (22) who graduates from the University of Alabama later this month and begins work in Chicago next month. Coach Foust has already met with Coach Holt and Coach Short as well as the Randolph Boys Head Coach David Garrison to start preparations for a great 2019 tennis season. Please attend this event to have the chance to hear from Coach Foust and learn more about the plans for the upcoming season. We hope to see you there! Earlier this week Director of Athletics, Blake Davenport, introduced the new leader of the boys and girls golf program, Michael Morard. Michael discussed the following topics at the information meeting: the need for evaluations before the season starts, competition and practice schedule overviews, eligibility and communication process, strength and conditioning plans, and the leadership structure of the two teams. 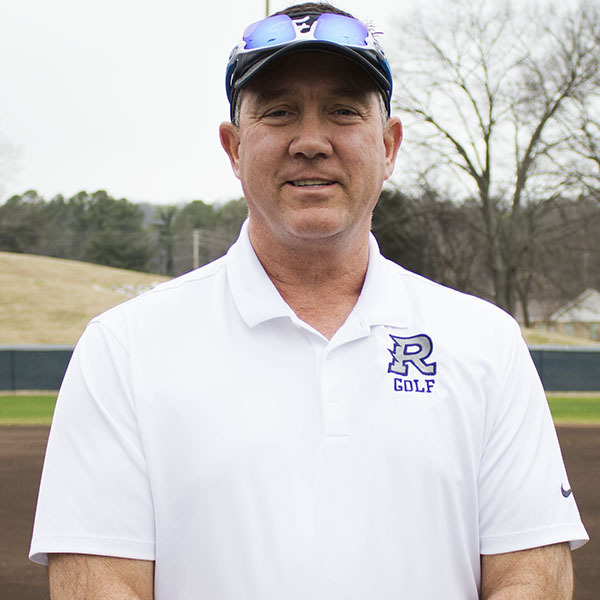 We are thrilled to announce that Michael Morard has agreed to take over the leadership of the Randolph Golf program. We look forward to the extensive level of experience and expertise that Coach Morard will bring to this position along with the positive energy that this up and coming program deserves to be known for throughout the community. Coach Morard will lead both teams from both programmatic and strategic perspectives while Coach Pat Lewallen will return to the staff and be a great resource for both coaching and administrative support. Alabama High School Athletic Association (AHSAA) rules allow for only the team’s head coach to assist players directly during competition. This rule combined with a season schedule and anticipated postseason play that has each team playing in separate events on the same day cause us to need two head coaches. For these reasons Coach Morard will have the title of girls’ head coach and Coach Lewallen will have the title of boys’ head coach. Coach Morard retired as the Vice President and CFO of Qualis Corporation three years ago to become the CEO of “Team Michaela.” Michaela Morard is Michael’s daughter who is a Randolph junior in her third year at the school. As most of the Randolph community knows, Michaela is an incredibly talented and hard-working student-athlete who thrives in the sport of golf. Michael has been at Michaela’s side helping her navigate her way to accomplishing the following: multiple AHSAA State Championships, a commitment to play for the University of Alabama, becoming a six-time AJGA champion recently named to the 1st Team ROLEX All-American Team, ending the season ranked in the national Rolex AJGA’s top ten. Coach Morard energized the audience in the meeting discussing what he has learned throughout the journey with his daughter and how to apply it to Randolph’s Golf program which he says can be “the best golf program in the state.” Go Raiders!